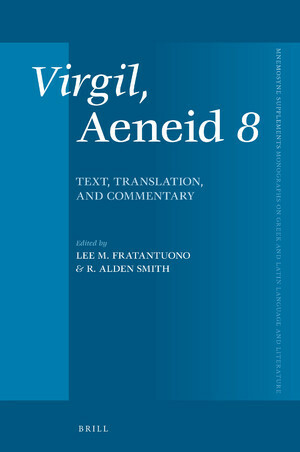 Lee M. Fratantuono et R. Alden Smith, Virgil, Aeneid 8: Text, Translation, and Commentary, Leyde-Boston, 2018. This volume provides the first full-scale commentary on the eighth book of Virgil's Aeneid, the book in which the poet presents the unforgettable tour of the site of the future Rome that the Arcadian Evander provides for his Trojan guest Aeneas, as well as the glorious apparition and bestowal of the mystical, magical shield of Vulcan on which the great events of the future Roman history are presented – culminating in the Battle of Actium and the victory of Octavian over the forces of Antony and Cleopatra. A critical text based on a fresh examination of the manuscript tradition is accompanied by a prose translation.